Fashion has gone through its fair share of transformations. What was in style a century - or even a decade - ago is no longer a la mode. Consumers' needs and desires have changed, which means the retail industry must adjust its supply chains accordingly. Millennials, also known as Generation Y, have different requirements than their predecessors, and fashion merchandisers must cater to this group of decision-makers. 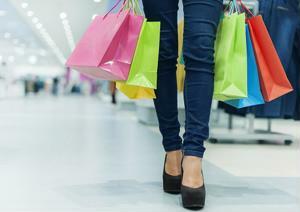 Lower costs and higher availability may find their places in the new retail industry. The cost of living has steadily been increasing, and millennials are feeling the change. Even a college education often cannot ease the financial burden of society, and according to The Institute for College Access & Success, nearly 70 percent of 2013 college graduates each owe approximately $28,000 in loans. Because of this, Gen Yers are reluctant to dig themselves deeper into debt. Credit cards are no longer an option for the younger generations, and 63 percent of millennials don't have a card in their name, Bankrate reported in a 2014 study. They don't want to spend money they don't have, and would rather save up to make their larger purchases. With school loans already earning interest, graduates don't want to add to their growing debt by buying products they can't afford. "It's a relief to not deal with paying a credit card bill every month, especially when I'm just beginning to enter the not-so-wonderful world of repaying student loans," Jamie Primeau, a recent college graduate, told Bankrate. "Basically it's one less thing to worry about." Unfortunately for retailers, this cost-minded generation doesn't want to spend money on clothes and products they don't need. High prices will turn millennials away, which can be detrimental to business considering the American Gen Y is comprised of 75 million people, according to the Pew Research Center. Using local resources for production. Ordering high volumes of merchandise in advance. The retailer has 287 stores located throughout the U.K. and Europe, but it will open its first brick-and-mortar site on American soil on Sept. 10, The Washington Post reported. Primark's first U.S. venture will be located in Downtown Crossing in Boston, but the company has plans for more in Massachusetts, Connecticut, Pennsylvania and New York. The retailer offers a variety of products, from clothes and shoes for men, women and children to household goods. While Associated British Foods is expanding Primark overseas, the company isn't trying to overtake previously established fast-fashion brands. These stores hope to supplement consumers' shopping experiences rather than dominate them. "I think that our customers don't mono-brand shop," John Bason, Associated British Foods' chief financial officer, told the source. "They're looking for a repertoire of which we want Primark to be one of those stores." Millennials will be able to turn to Primark for more options when it comes to fashionable items at affordable costs. They'll be able to look their best while still saving up for those higher priced products. Primark has partnered with Sears to make this expansion happen, and has added new suppliers, manufacturers and consumers to its supply chain.